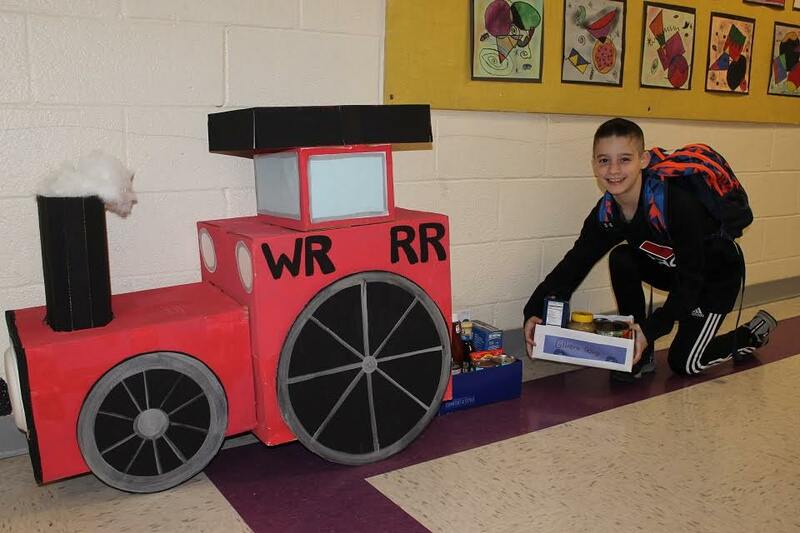 Wading River Elementary School students and staff are regularly engaged in proactive community service projects as part of their character education program and this year’s annual Food Train Food Drive to support those in need was once again a resounding success. The boxes were delivered to the local church food pantries at St. Anselm’s, St. John the Baptist and St. Mark’s. Photo caption: Wading River Elementary School Food Train was ready to leave the “station,” with food donations for local food pantries.